One of the things I've been trying to do in our home for the past few years is "lighten up." Most of the furniture and furnishings we own were purchased in what my husband likes to call the "burnt brown era." We have dark furniture and many of the accessories we started out with were dark as well. Our house is older with dark cabinetry and darker shelving throughout. So, in this modern, neutral and white world of decor, what's a girl with two kids in college and number three starting in a few years to do to update her home? (Hint: I'm not rushing out to replace everything.) I'll tell you what she does. She starts small, slowly adding lighter colored accessories like pillows, pictures, and the one I'm talking about today--lamps. 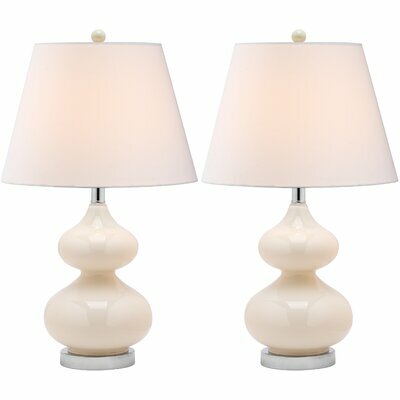 A pair of white or almost white lamps is a great way to change up or lighten up any room. It's also a good way to add a touch of modern that won't clash with your existing style. Here are a few options that will blend with most decor. This last one is the Mix and Match selection from Target. I found these right before Christmas and added them to our bedroom. (Yay for Christmas money!) You pick your lamp base and then add the shade that works for you. A great look, great quality, a great price, and a great starting point for creating a lighter, updated look to your home. The shade I chose had a linen look and feel to it. It's the kind that sits right on the base. If you don't have natural light streaming in from every angle of your house like in the magazines, the lighter look of white, cream, neutral, or even clear glass lamps will help your rooms seem brighter. 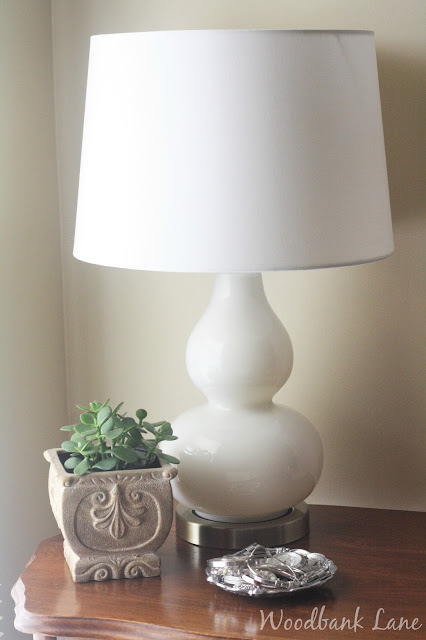 Here are a few other posts on lamps and lighting. 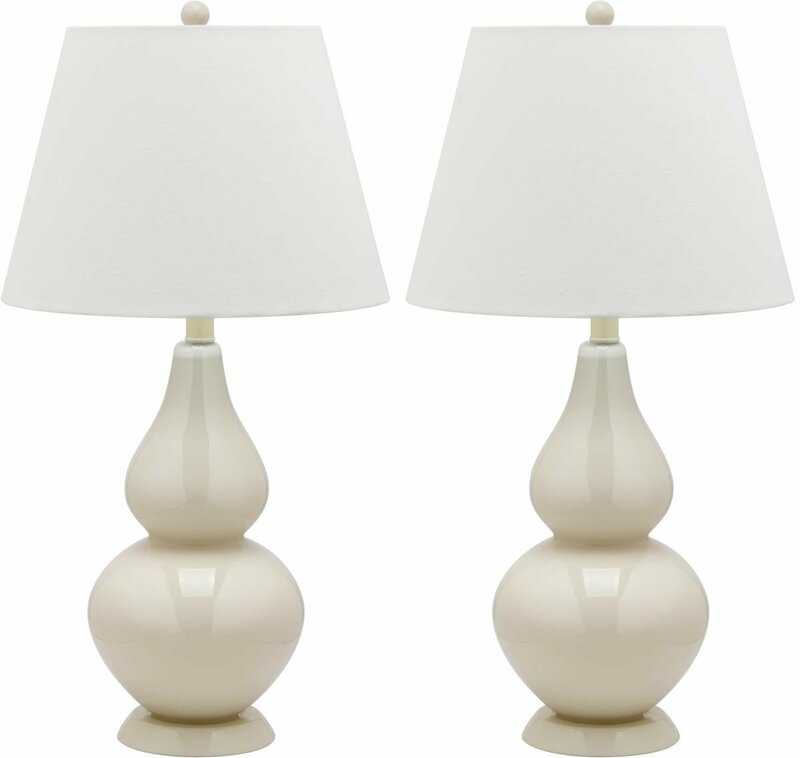 Do you like the look of white or cream lamps to create a brighter room? I love hearing from you! Love those lamps. I need two! Me,too. I'd like a pair in every room!